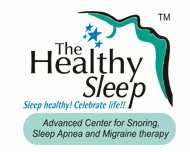 In healthy adults, sleep normally begins with NREM sleep. The sleep pattern of clear rhythmic alpha activity associated with wakefulness leads to N1, the first stage of sleep, which refers to a low-voltage, mixed frequency pattern. The subsequent transition from wakefulness to N1 takes place seconds or minutes after the start of the slow eye movements seen when a person initially begins to doze off. This first period of N1 lasts for about one to seven minutes. The second stage, or N2, which is defined by sleep spindles and/or K complexes in the EEG recording, generally lasts for about 10 to 25 minutes. As N2 sleep stage progresses, high-voltage, slow-wave activity gradually appears which is characteristic of N3 or the third stage of NREM sleep. This stage, whose duration is for 20 to 40 minutes, is referred to as “slow-wave,” “delta,” or “deep” sleep. As NREM sleep progresses, the brain becomes far less responsive to external stimuli, and it becomes very difficult to awaken person from sleep. Progressing from the N3 stage of sleep, a series of body movements takes place which signals a transition or ascent to lighter NREM stages of sleep. Typically, a 5 to 10 minute period of N2 precedes the initial episode of REM sleep. REM sleep comprises about 20 to 25 percent of total sleep in normal healthy adults. NREM sleep and REM sleep continuously alternate throughout the night in a cycle like manner. Most slow-wave NREM sleep occurs in the initial phase of the night; REM sleep episodes, the first of which may last only one to five minutes, generally become longer as the night progresses. At night, N3 sleep occupies less time in the second cycle than the first and may disappear altogether from the later cycles. The approximate length of the first NREM-REM sleep cycle is between 70 and 100 minutes; the average length of the second and later cycles is about 90 to 120 minutes. The reason for such a particular cycle like pattern of NREM and REM sleep across the night is rather not known. Sleep patterns are affected by several factors such as amount of recent sleep or wakefulness, age, time of day or night relative to an individual’s internal clock, other activities prior to sleep such as stress, exercise, environmental conditions like temperature, chemicals and light. For example, for the first year of life, sleep ideally begins in the REM state. The cyclic alternation of NREM-REM sleep in newborns is seen from birth but at 50 to 60 minutes is much shorter than the 90-minute cycles that occur in adults. Consolidated night sleep and fully developed EEG patterns of the NREM sleep stages emerge only after two to six months. Slow-wave sleep is highest in children and it steadily reduces with age, even if the sleep duration does not alter. This may be related to changes in the function and structure of the brain. Sleep history i.e. the quantity and quality of an individual’s sleep in recent days can also have dramatic effects on sleep patterns. An irregular sleep schedule, missing night’s sleep repeatedly and frequent disturbance in sleep can cause a redistribution of sleep stages, for instance, deeper and prolonged periods of slow-wave NREM sleep. Various drugs can also affect sleep stages. For example, alcohol prior to sleep tends to suppress REM sleep early in the night. As the metabolism of alcohol occurs later in the night, REM sleep reoccurs. However, awakenings are also more frequent in such cases.